Going Clear knows what good horror movie know: what’s shown on screen is sometimes less scary than what’s implied. While there are more than enough chilling tales of the Church of Scientology’s abuses in Going Clear’s 119 minute runtime, it’s knowing that there are untold horrors and dark secrets lurking just outside the camera frame that makes this latest HBO documentary so haunting. Director Alex Gibney, who previously tackled Wikileaks with the documentary We Steal Secrets, assembles a cast of former members—celebrities, church higher-ups, and regular members alike—each contributing to an unsettling portrait of a powerful and frequently neglectful organization. What becomes clear as Going Clear progresses is that the common image of the cult member is far from the truest. Gibney’s interviewees are well spoken and intelligent and many sought the church seeking personal betterment and a desire to help the world. Even as past actions are revealed and reflected upon, no one in the proceedings comes across as a bad person; each earnestly had faith in their church and went to the lengths to protect a thing that gave their life meaning and purpose, which only serves to make the film an even more frightening affair. 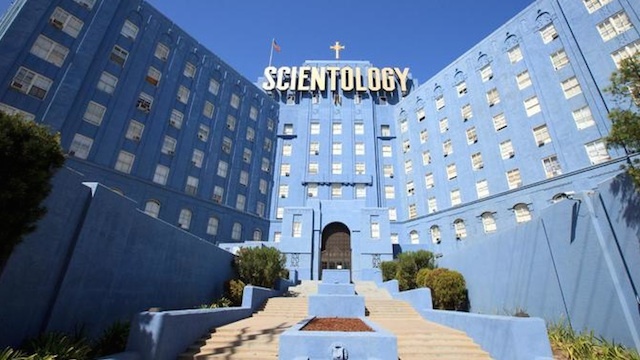 As the film’s full title suggests, Going Clear: Scientology and the Prison of Belief provokes larger questions about the nature of faith and religious belief above the context of Scientology. Few religions can claim to be without histories of violence and abuse, either carried out or willfully ignored by the faithful. Going Clear is effective because it ultimately holds a mirror to the viewer and makes them consider whether they ultimately would act differently if deep faith and severe manipulation occurred in their lives. Keeping with its similarities to the classics of horror, the monster at its core is surprisingly sympathetic. L. Ron Hubbard (or LRH as he is called throughout the film) is portrayed with humanity. The first hour of the film details Hubbard’s life through his own words and the recollections of those close to him. Charismatic and commanding, yet self-conscious and insecure, the man behind Scientology is not the nefarious con man the film could have bluntly chosen to portray. Hubbard truly sought salvation through his writings and practices; though the film hardly uses this to excuse the abuses many suffered as result. Hubbard’s rise from pulp writer to self-help guru to religious leader is one of the most interesting stories in the documentary, and is more than deserving of a standalone film of its own. Gibney is a veteran of the documentary genre, and his mastery of the form makes for an effective film. Interviews are interspersed with photography, Scientology promotional videos, high quality reenactment, and at times truly surreal collage. A shot of a wooden folding chair soaring through the air to the opening strains of “Bohemian Rhapsody” is one of the eeriest images (even if it doesn’t sound so removed from context) in the film and opens one of the most horrifying recollections featured. Videos released by the church take on an unintended spookiness with the addition of behind the scenes stories provided by the former members who are often portrayed in them. Massive rallies and ceremonies presided over by the Church’s leader raise figures such as Scientology’s leader to Bond-villain levels of nefariousness given the benefit of additional context. Painted with the same mustache-twirling brush are the Church’s celebrity spokespeople, portrayed as turning a blind eye to the abuse and cruelty show to fellow members—family and loved ones included—in exchange for a life of having every whim met (and when that fails, blackmail). While the film has a certain sympathy for L. Ron Hubbard, the same cannot be said for the church’s current leadership. I did not sign up for sinister musical chairs, man. Whether Going Clear sparks action and outrage against the Church of Scientology remains to be seen. At the very least, Going Clear is sure to spark introspection into the nature of faith in its viewers. The past few months has been host to some stellar horror releases, and Going Clear deserves a place among them. Look for Going Clear airing on HBO and available through HBO Go and VOD services.